When you create a product in your Hiboutik account, you can choose to track it or not into inventory. If you track your product into inventory, you can get immediately the quantity available in stock and an accurate value of your inventory. But it is not always convenient to track all your products into inventory, especially for perishable products or items you received in small quantities that you cannot restock. You can sell a product tracked into inventory, only if the quantity available is higher than 0. So, you must first create a stock order. In Products/Stock orders, you will find all your stock orders. To create a new stock order, you must select the supplier you are ordering stock, and add a reference to identify it (like your supplier invoice number). The new stock order is automatically assigned to the currently selected shop. Then click on the order ID button to start adding products. In the new stock order, only the products linked to the supplier selected are displayed and can be added. You can add a product by selecting it in the drop-down menus, or by typing its reference, or by scanning its barcodes. Then type the quantity and click on the Add button. You will find as many different drop-down menus as you have different variant types in your account, in order to help you enter your quantities for the different variants of your products. When you add a product to your stock order, you can choose to print the number of labels from the received quantity. For supply prices, Hiboutik recovers the ones fulfilled in your product forms. If the supply price has changed you can modify it for each line of product. The supply prices fulfilled in your inputs are used to calculate the valuation of your inventory with the FIFO method (first in first out). When you add products to a stock order, there are not received immediately into inventory. So, you can start registering your stock order when you purchase from your supplier, and validate it later when you receive the goods. – or click on the “Receive all” button. In order to match your suppliers’ invoices with your stock orders, you can add extra-costs (shipping fees…) in each order. You cannot unreceive a product line in your stock order if the quantity in stock available is lower than the quantity received in your stock order. But, if you select the right in Settings/Users/Access management: “Modify quantities in a received stock order”, you can increase or decrease quantities received in the limit of the quantity available in stock. Keep in mind that this operation can modify your former valuations of your inventory. 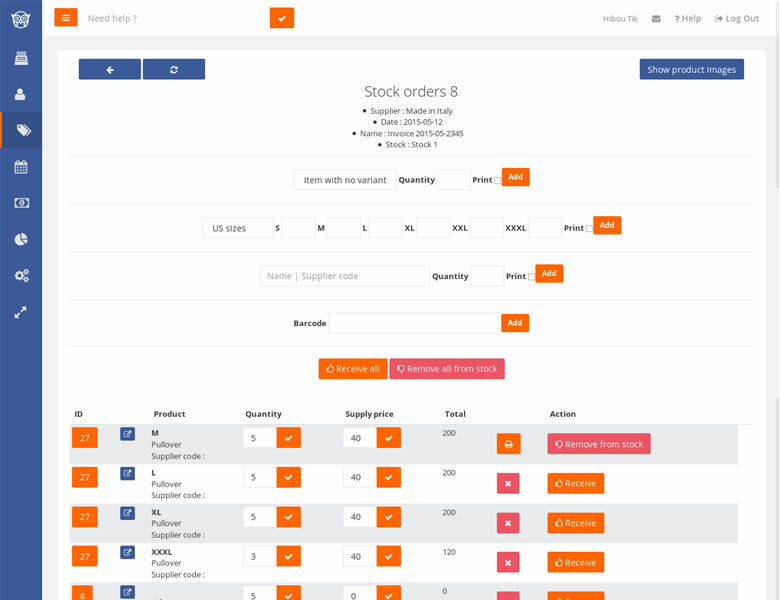 In Products/Stock orders, you can track the reception state of each stock order. If you don’t want to manage your suppliers in your Hiboutik account, or if you have products you can order from different suppliers, you can create an stock order with “Unknown” as supplier name. This kind of stock order will display all the products you have in your database. If you don’t find you product in the drop-down menus, either your product is not linked to the supplier of your stock order, or you don’t have selected to track your product into inventory in its form. If your product is displayed in a drop down menu, but there is no field to add quantities, it means that you have not set up your variants and variant types correctly. You assign a variant type to a product and a variant type has different variations (variants). The mistake you did was to create variants as variant types. If you are using the re-order points when you have low inventory, all products that have reached their low stock levels are displayed. You can add them in a click to your stock order. You can import a stock order in your Hiboutik account from a spreadsheet file. Import in a stock order already created. Data of your import file must be organize in 3 columns: product ID, variant ID, quantity. Hiboutik free POS software is complete and you can manage your inventory only for the products you want to track into stock. 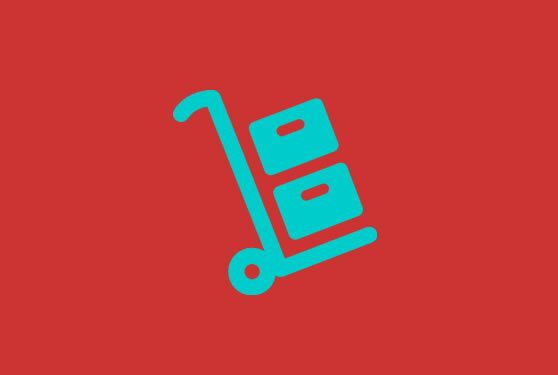 This entry was posted in FEATURES and tagged inventory, import, stock, stock order.